New research aimed at mapping the molecular mechanisms behind the early stages of bladder cancer has discovered that tumors of the disease can be divided into three primary classes, each with very different molecular and disease developing characteristics. The study's findings—presented by a team of researchers from Aarhus University in Denmark, gathered samples from roughly 500 patients in Denmark, Sweden, The Netherlands, Germany, Spain and Serbia—were detailed recently in the report “Comprehensive Transcriptional Analysis of Early-Stage Urothelial Carcinoma” published in the journal Cancer Cell. The researchers found that bladder tumors from the molecular group with high risk of developing aggressive disease contained mutations in genes and molecular pathways often associated with later stages of the disease. Moreover, the researchers observed changes in genes involved in genome structure regulation in 86 percent of the tumors. This new knowledge can facilitate the use of new drugs targeted at these specific changes. 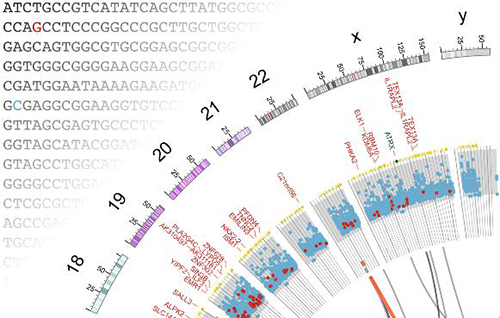 “Mutations in well-known cancer driver genes (e.g., TP53 and ERBB2) were primarily found in high-risk tumors, together with APOBEC-related mutational signatures,” the authors wrote. “The identification of subclasses in NMIBC may offer better prognostication and treatment selection based on subclass assignment. According to the NIH, in 2013 there were an estimated 587,426 people living with bladder cancer in the United States. While large numbers of these patients only have superficial tumors in the bladder when the disease is diagnosed, over time many develop new tumors, and often cases develop aggressively, making it necessary to remove the bladder or receive chemotherapy. The Danish researchers are hopeful their research will allow for more accurate early assessment of the disease and subsequent treatments.